The Invacare Spectra XTR2 powerchair from Invacare has been designed to give you a powerful driving performance and unrivalled comfort. Price excluding VAT.(Incl. VAT £5,313.60) *VAT Relief available on this product. The Invacare Spectra XTR2 powerchair from Invacare has been designed to give you a powerful driving performance and unrivalled comfort. 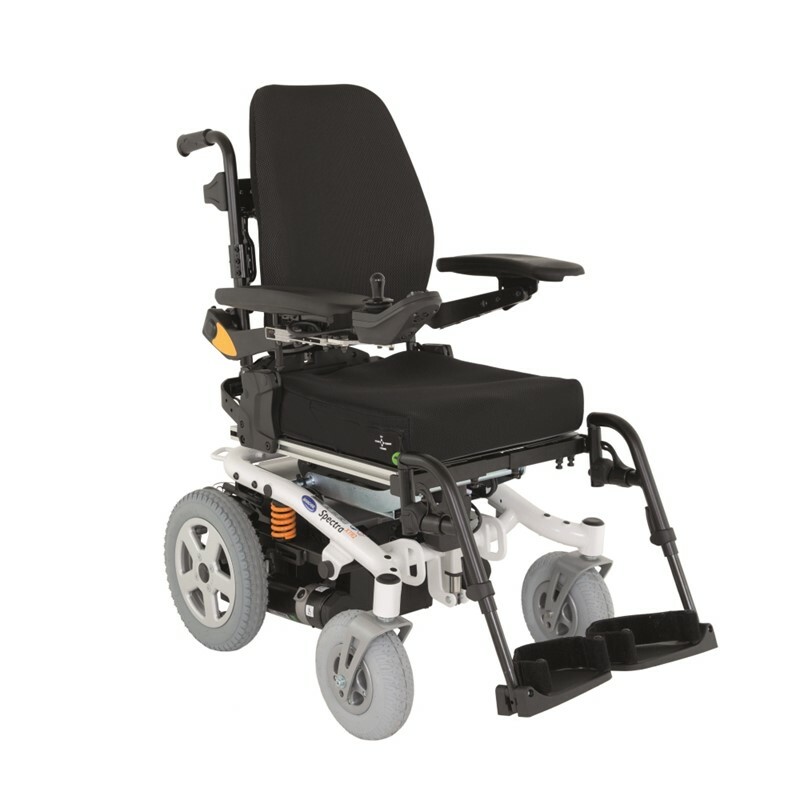 This would suit someone who requires a versatile powerchair that won’t break the bank. It’s perfect to be used both indoors and outside and is the preferred chair of the NHS. When using the Spectra outside, the sophisticated spring suspension will ensure that you have a smooth ride across a wide range of surfaces. The compact design makes navigating through busy streets and everyday obstacles a breeze. An easy to remove battery gives scope for a quick and efficient service. The seat can be detached from the wheelbase, thanks to a clever and robust mechanism which makes transportation easier. A new inspired control system called the LiNX will offer you a revolutionary driving experience over time. This system ensures that any programming or maintenance updates can be made wirelessly via Bluetooth – making the Invacare Spectra extremely simple to maintain and service. It also allows easy access to statistical and diagnostic information for professionals. The interface on the control panel has simplicity at the forefront. It’s been made to be straightforward for everyone to use including those with limited cognitive abilities. The Spectra XTR2 is a great choice for anyone who wants to maintain an active lifestyle with an affordable and robust powerchair. Please contact us on 02392 255600 or visit one of our showrooms in Waterlooville or Torquay for more information on our wide range of powerchairs.